ANNOUNCING THE NEWEST SPECIAL GUEST TEACHER IN MY ONLINE CLASS LIBRARY! 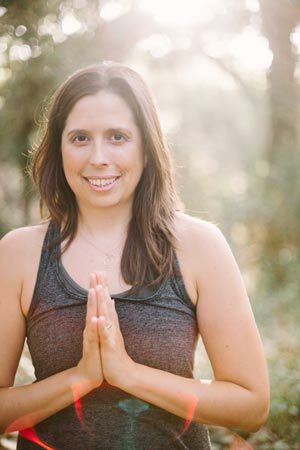 I am extremely honored to have the opportunity to host and share classes from so many incredible science-based yoga teachers in my online class library! Today I’d like to announce the newest teacher to join the ranks of this innovative teaching faculty starting on October 10, 2018. For many people, Francesca Cervero doesn’t need any introduction. 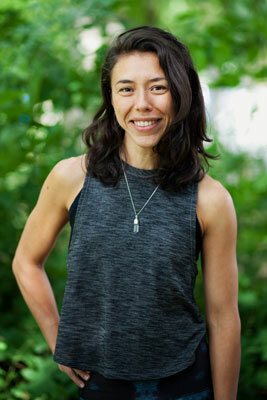 But for those of you who don’t know her, a few points of note are that she runs a thriving yoga teaching mentoring business, she specializes in The Science of the Private Lesson™, and she also hosts the popular Support & Strategy for Yoga Teachers podcast. One of the reasons I’m extra excited about Francesca’s classes is that they were actually filmed with live yoga students! And because she is well-known for her impressive skill of holding space in the yoga room in a grounded way, these classes will be a very helpful window into watching this skilled yoga teacher do her space-holding work. Francesca is also well-known in the yoga community for expertly teaching yoga classes without demo-ing any poses at all. Many people wonder “how does she do it?”, and now we can finally watch her in her element and learn from her techniques. Look for her first class to arrive in the library on October 10th! I hope you love it! Today I present to you the much-anticipated second half of our Q&A. 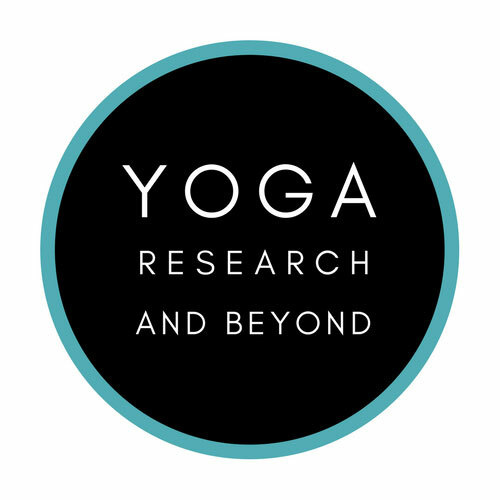 Between these two installments, I feel that this is a very valuable and fascinating offering for yoga teachers who are interested in becoming more evidence-based in their teaching. I hope that you enjoy, and don't hesitate to share your comments and thoughts below! 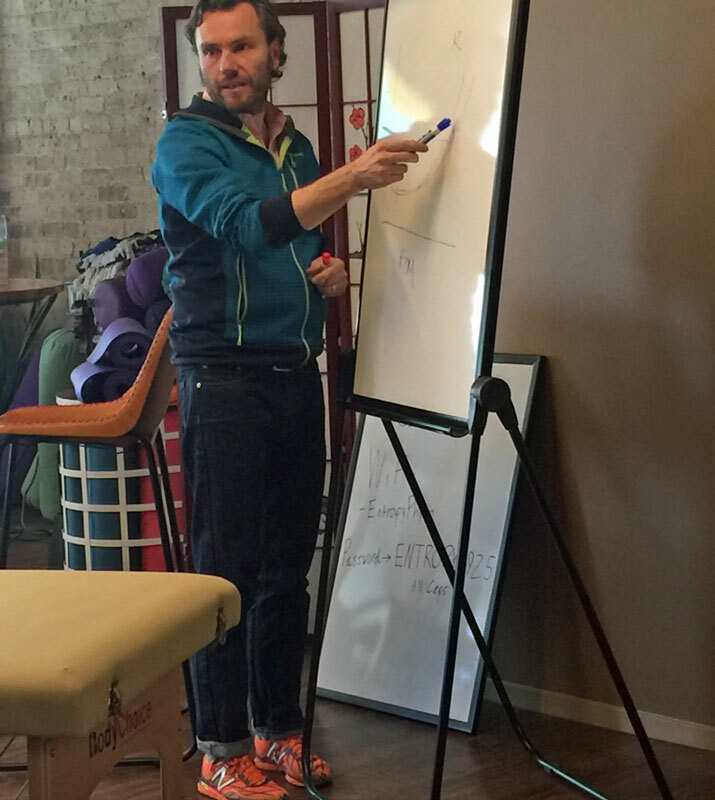 QUESTION 4: Is there an alignment relationship between the rib cage and the pelvis (or between the diaphragm and the pelvic floor) that ensures optimal physiological function in the body? We often hear in the yoga & movement worlds that it’s important that the diaphragm be "stacked above" the pelvic floor so that these two structures can move in concert during breathing. If the rib cage and pelvis are habitually aligned in such a way that these two structures are not “stacked”, can this result in pain (especially around the spine and pelvis) and/or dysfunction in the body? ANSWER: Everyone’s anatomy is unique. Everyone’s anatomy is slightly asymmetrical. Everyone’s. Our bodies respond and make adaptations to stresses over time as well. The ability to respond and adapt/remodel while preserving physiological function is how we’ve survived as a species for thousands of years. Now that’s not to say that sudden or gross changes to posture can’t result in problems. It can and most of that has to do with exposing the body to stresses and loads exceeding its capacity or without enough time to make adaptions. It’s also not to say that just because someone has a slight deviation from our socially constructed (and not biologically constructed) ideal posture they will have pain or dysfunction. So no I’m not certain that I would agree with that statement or line of thinking. QUESTION 5: Is there a known causal relationship between specific patterns of breathing (for example habitual “belly breathing”) and specific core conditions such as pelvic organ prolapse and diastasis recti? ANSWER: Like I mentioned above there’s a lot of things that go into disease and dysfunction. I wouldn’t ascribe one mechanism to any disease or dysfunction. There is some research suggesting that individuals with COPD might have a higher risk for urinary incontinence and pelvic floor dysfunction but that’s at the extremes of respiratory muscle dysfunction. I don’t think most people in yoga are at that level of disease. However if one were to bear down long enough and they had pelvic floor weakness/laxity I could reasonably see a prolapse develop. However even in that example it’s not a one to one relationship. I would caution against making that sort of relationship. QUESTION 6: In yoga class, we are always taught to breathe in and out through our nose rather than through our mouth. I can see how cultivating nasal breathing during yoga might slow the breath down and could therefore offer a meditative benefit to one’s practice. But are there significant physiological benefits to breathing through the nose instead of the mouth in a yoga practice - and in daily life in general? ANSWER: Most people will generally breathe through their nose. Even those who use their mouth to breathe often still breath through their nose too. Nasal breathing is reflexive and as long as nasal airway resistance doesn’t get too high (like when you have a cold or congested nose), the lips maintain their seal and the tongue maintains contact with the back of the mouth cavity, you will breathe through your nose. Nasal breathing is innate and it allows us to warm, humidify and clean the air we breathe before it gets down to our lungs. The research is a bit limited and conflicting regarding whether mouth breathing or nasal only breathing is more efficient. Some studies demonstrate that nasal breathing is more energy efficient during exercise, however some have shown that there is no difference. Oral breathing definitely tends to dehydrate your oral passages and could make talking more challenging. QUESTION 7: If someone desired to change their habitual way of breathing (i.e. breathe more into their rib cage and less into their abdomen, for example), how easily can she/he re-set the way that their autonomic nervous system controls their ~20,000 breaths per day? ANSWER: There’s a lot to unpack in this question. Without diving into too much respiratory physiology, the cadence and depth (pattern) of your breathing is automatically controlled by the respiratory control center in your brain stem. The pattern of breathing can be modified by various sensory inputs to activate different neural circuits of the respiratory control center to modify the pattern to match the stress, activity or condition the body is undergoing. The most notable and potent sensory input is the pH of your blood and concentration of carbon dioxide (CO2) which are monitored by nerves called chemoreceptors. When pH or CO2 gets too high or too low, breathing cadence and depth will respond instantaneously in order to maintain a cellular environment conducive to metabolic work to keep us alive. The body is incredibly efficient and effective at this process, and control of pH will always “win”. We can make temporary volitional changes to our breathing pattern. We can even temporarily stop breathing. However as I mentioned above the control of pH will always win. So while we can absolutely make these changes temporarily, the evidence that exists now does not suggest that we can change our pattern of breathing permanently due to the role breathing takes to keep us alive. What many people might observe is that when one is stressed or in pain it usually results in hyperventilating or rapid breathing. This is due to our respiratory control center responding to the sensory and emotional inputs and thus selecting an according breathing pattern to match this “perceived threat”. By practicing slow breathing it may allow one to achieve a more relaxed state or distract themselves from pain or stress. If this relaxed state is achieved, the sensory input of a perceived threat has been absolved and different circuitry in the respiratory control center will be activated producing a more relaxed pattern of breathing. We’re finding that some of the circuitry used or involved in these breathing “programs” utilized might be hardwired. QUESTION 8: The term “breathing dysfunction” is a commonly-used label in the yoga & movement worlds these days. Do yoga and movement teachers with no concurrent medical training have the authority and expertise to identify and label breathing dysfunctions and disorders? ANSWER: Breathing dysfunction is a bit of a nebulous term. We encounter this issue often in physical therapy practice too. Unfortunately this term is often used cavalierly and done without performing a reliable, valid and objective assessment of breathing performance such as spirometry (lung volumes), respiratory muscle performance, pulse oximetry or arterial blood gases, and markers of ventilatory efficiency during exercise. Visual inspection and manual assessment of breathing function are very subjective and are not sufficient to determine if someone’s breathing is dysfunctional. So unless those objective measures mentioned previously are being used I would strongly caution against labeling anyone’s breathing as dysfunctional; especially if they are walking and talking into your clinic or studio. Remember there are so many things involved with breathing and we generally do a pretty good job at it.